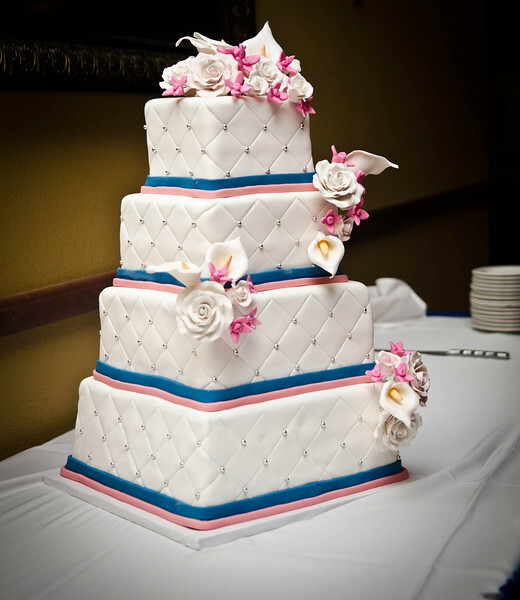 We are Arizona's premiere wedding cake specialists! Our wedding cakes are delicious works of art, custom designed to serve as the perfect expression of the love you both share. Simple 4-tier cake. Flowers were hand made to match the bride's bouquet, consisting of pink hydrangea, white roses and calla lillies.